President Obama’s reelection campaign Thursday accused Mitt Romney of lying — and perhaps of breaking federal law — after the Globe reported that government documents listed him as in charge of the private equity firm he founded, Bain Capital, three years longer than he has previously stated. The Romney campaign called such statements by the Obama team reckless and asked the Globe to print a correction, which it has declined to do. Romney’s campaign manager, Matt Rhoades, demanded an apology for Cutter’s remarks. Romney has asserted he left the firm in 1999, but records show Bain listed him on government filings as the man in charge through 2002. New evidence emerged late Thursday that raises further questions about Romney’s claim of a total disconnect between himself and Bain Capital entities after Feb. 11, 1999, when he became chief executive of the Salt Lake Organizing Committee. Romney said he remained on the boards of several companies, including the Lifelike Co., in which Bain Capital held a stake until 2001. The Huffington Post and MSNBC also carried reports Thursday night about Romney’s membership on the Lifelike board. 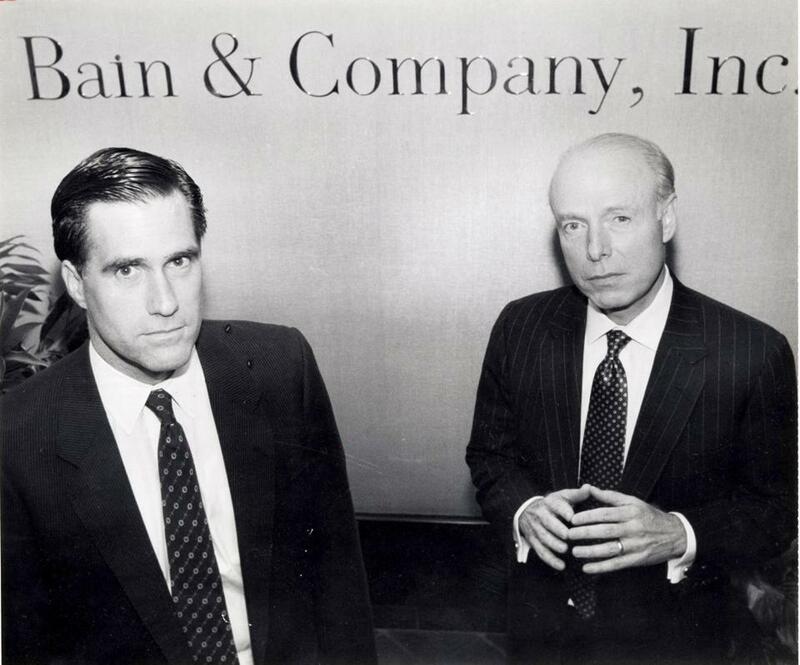 The Romney campaign claimed the candidate’s testimony to the ballot commission actually strengthens the case that he left Bain Capital for good in 1999. The Globe’s initial report Thursday focused on apparent inconsistencies between Securities and Exchange Commission filings by Bain Capital — which state that Romney continued to head the firm after Feb. 11, 1999, the date he claims to have retired — and Romney’s most recent submission to the Office of Government Ethics, which says that “since February 11, 1999, Mr. Romney has not had any active role with any Bain Capital entity and has not been involved in the operations of any Bain Capital entity in any way.” Other media have reported similar findings. Two other documents contain similar information, the Globe found. 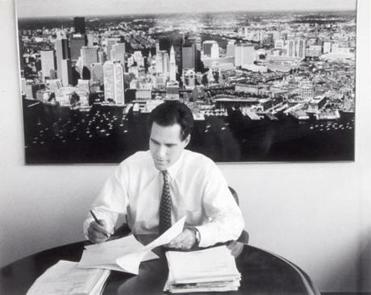 In his first year as governor of Massachusetts, in 2003, Romney disclosed to the State Ethics Commission that he still owned 100 percent of Bain Capital in 2002. Romney’s state financial disclosure forms indicate he earned at least $100,000 as a Bain “executive” in 2001 and 2002, separate from investment earnings. Spokespersons for both the SEC and the Office of Government Ethics declined to comment on the record Thursday. The Romney campaign did not dispute any facts reported Thursday by the Globe but nevertheless requested a correction, saying the story left the false impression that Romney continued to oversee Bain Capital’s day-to-day operations. The firm did not respond to Globe questions about why SEC filings show Romney in control of five Bain Capital business partnerships that were formed in January 2002 — long after Romney claims to have left. Romney and his presidential campaign have gone to great lengths to assert that he permanently departed Bain in 1999, never exerted any influence on its operation, and should not be held responsible for bankruptcies and layoffs after that time. But at the time of his departure, Romney’s frame of mind was merely to take a leave of absence while he was running the winter Olympics, according to Romney’s own testimony to the state ballot commission, which let Romney remain on the ballot for governor in 2002. Experts in finance and security law disagree about how much legal significance the discrepancies between Romney’s financial disclosure statements and SEC documents may have. Others, including Roberta S. Karmel, a former SEC commissioner quoted by the Globe on Thursday, say SEC filings are a crucial window on the operations of business.